White, black, red... Chinese, Ceylon, English... And all this tea. The modern market offers a huge number of varieties under various trademarks and brands. But the main thing in all this variety is the tea leaf. The variety of teas provided by is not a great variety of the plants. The secret is in the processing of sheet directly. After Assembly, the sheets are usually dried. This is done so that they softened and lost some moisture. Then they are rolled, fermented and dried. Two final stage mainly determines whether a tea is black, green, yellow or red. The Assembly process of tea is still produced mainly by hand to keep the leaves whole and thereby to make the drink more delicious and saturated. Big leaf - feature to a greater extent black tea. And it is considered the best in comparison with other types. However, its quality is ensured not by the size of the sheet. And it would be better to call it zelenolistnoe. After all, in the composition of tea, which is habitually referred to as big leaf, are not the large leaves of the tea Bush. On the contrary. The difference between big leaf and small leaf tea is in the technology. At the final stage of processing dry leaves are passed through sieves, and the result is a large or loose leaf tea, medium broken, and a tea dust or crumb. More often it is little used in tea bags. Large leaf tea with whole, intact leaves, and hence the drink will be better. Of course, time for brewing this tea will need more. But the aroma and the taste will be more subtle and refined than tea powder or cut sheet. That's why most of the preference for loose leaf tea. 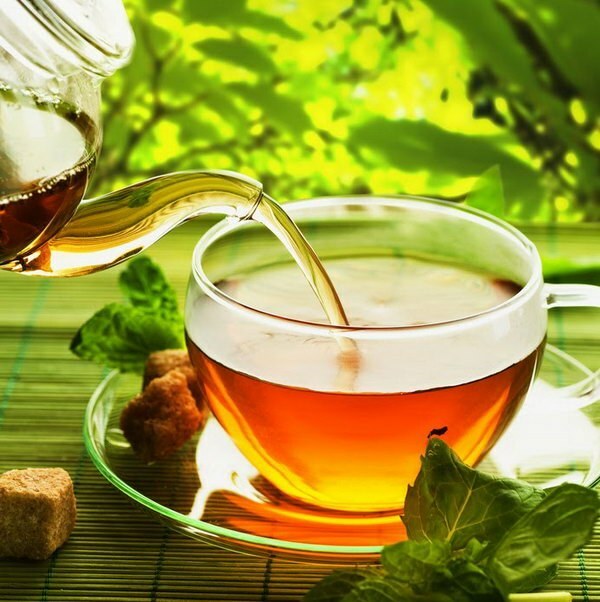 The main suppliers of tea to the world market are China, India and Sri Lanka. Moreover, if in India and Sri Lanka are available mainly teas sliced or in pellets, China is famous for the varieties from whole leaves. The younger the tea leaf, the closer he is to the flower or to the kidney, the better the quality of the drink he provides. For ease of marking teas and refer to the leaves in its composition, was chosen Latin letters. For those who love a good leaf teas, you need to look for on the package the letters FP (leaves, growing near the kidney), OP (one piece twisted young leaves), or P (a shorter and rough leaves). If the leaves are used chopped, to the above-mentioned letters is added B. ie seeing the package BOP, you can see that there are incised twisted young tea leaves. The markings for fine teas can contain the letters T, S, and G. T means that there are unopened buds. G is a mixture of the best varieties, and S says about belonging to an exclusive tea.